Ideal Offices experienced and professional receptionists will allow you to project a professional image for your business. 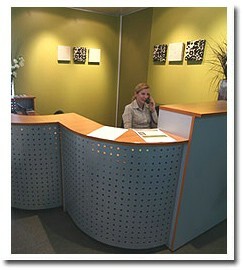 Ideal Offices will provide professional support by friendly and dedicated staff using state of the art equipment. We take time to understand your business so whether you are in or out of the office, you can rest assured that your clients will be received in a warm and welcoming manner and be able to correspond and transact with your business with ease and convenience.